Join the Fun for National High-Five Day! Sophie here! Look what I’m doing. I’m working on my high-five skills. Let’s see, I’m a lefty, so I should practice with my left paw. Come on, paw, don’t fail me now! Dang it! I missed. I better keep practicing. Anyway, I wanted to let all my cat friends know about a fun new contest taking place right now. 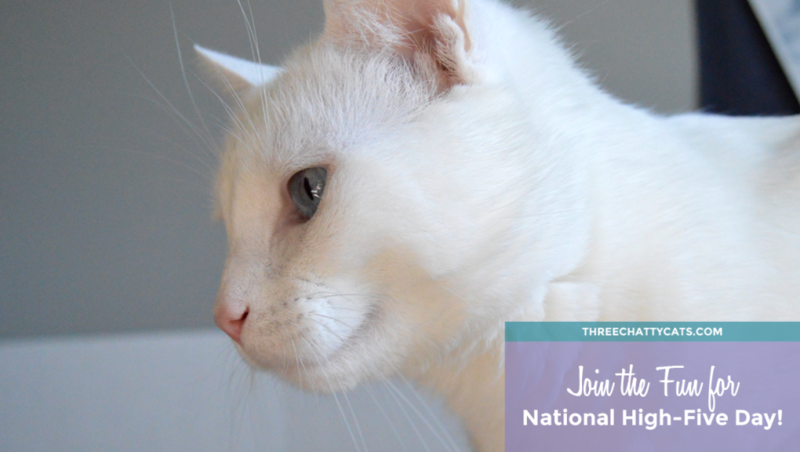 It’s the Cat Pawsitive National High-Five Day Contest! 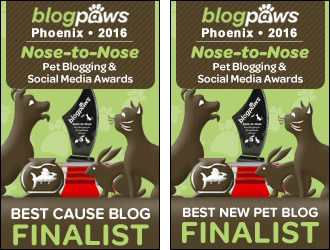 Let’s learn about the contest from Jackson Galaxy himself! 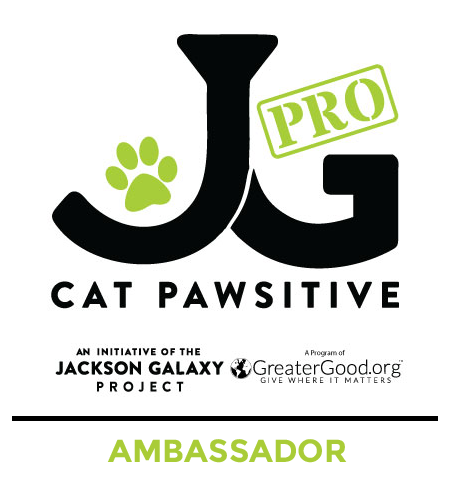 Okay kitties, to sum it up, from now until April 18th, post your high-five photo or video on Facebook or Instagram – be sure to use hashtag #CatPawsitive and tag both @TheJacksonGalaxyProject and @HaloPets. 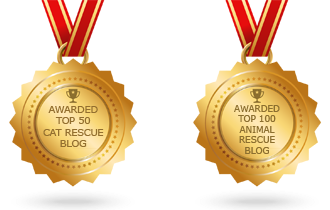 Jackson Galaxy will be judging the entries and the top five will win a donation to the shelter or rescue of their choice! Winners will be announced on April 19th – National High-Five Day! 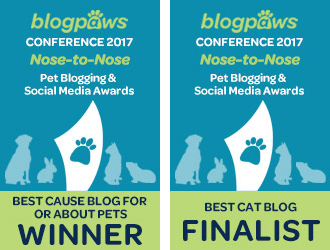 Be sure to read all of the contest details at felinehighfive.com. Not Sure How to High-Five? Has your human not taught you how to high-five yet? That’s okay, I don’t know how to either. But have no fear, feline friends! The Jackson Galaxy Project has put together this handy-dandy instruction guide that your human can download. 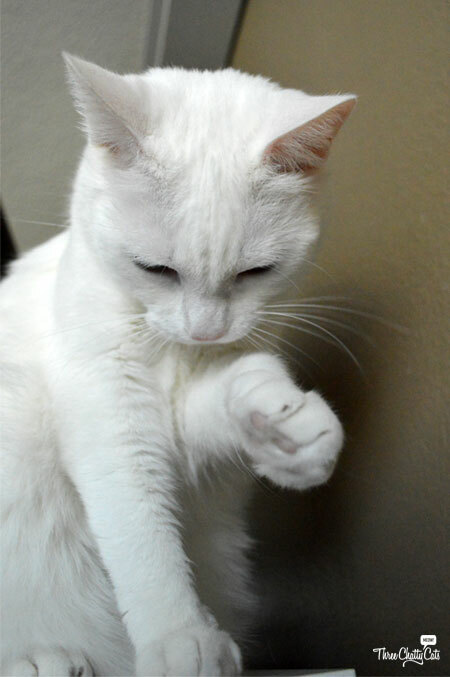 So, let’s get to high-fiving and show the world that cats can do tricks, too! Will you and your human be entering the contest? 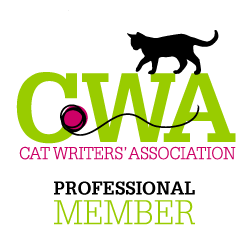 Want to learn more about Cat Pawsitive Pro and how it benefits shelter cats? 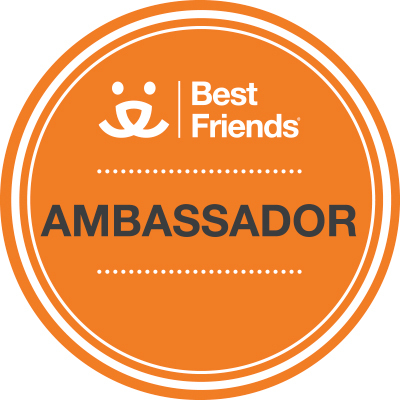 Check out our post about the clicker training program! 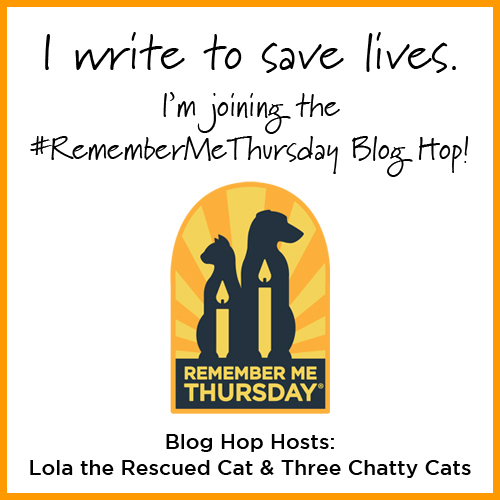 Next Chatty Cats: Plans, Goals and More! Hmmmm, maybe we should try this. Rosie does her own version of high five – I hold some turkey in my hand and she smacks my hand until the turkey falls on the ground. I might need to get some lessons from our pal Summer! Thanks for sharing this! Cody does GREAT “high-fives” that is if I can catch them fast enough!!! 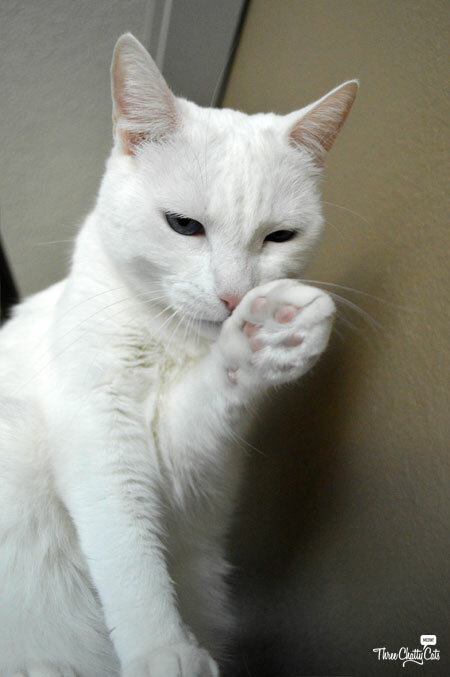 Sophie … you are the MASTER of high-fives! 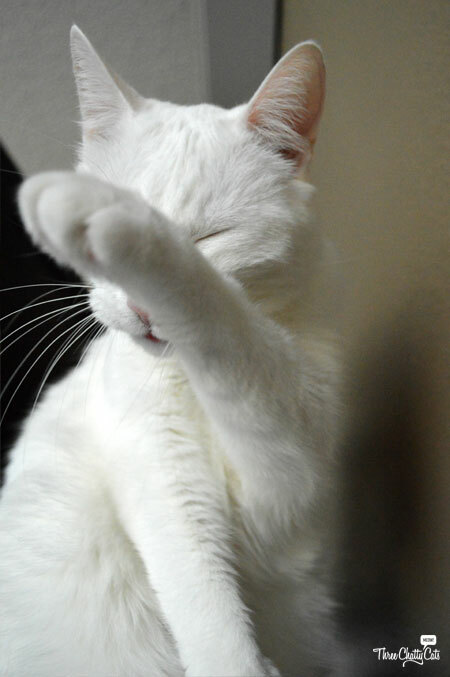 My cat high fives, but he likes to use his claws while doing it. Sophie, that was a great high five. We better get practicing our high fives! TW gets mad cos I always use claws out when I high five. Sophie I would high five youanytime sweetie!! Great high five Sophie. Millie will enter, he loves to give high fives. You’ve inspired the Tribe of Five! Hopefully one of us will be able to master this before the deadline! Great idea! Better get practising! Manny and Chili Bruce do high-fives…when they are reaching for my sandwich! That sounds like fun. I think you will soon get the hang of it. Sophie, we’re impressed at you doing that high five! We need some work on ours.